Jays' Tee Vee: Neon Genesis Evangelion: I HATE YOU, DAD! When you think about it, maybe ol' Shinji wasn't getting such a bad deal on the face of it. Of course, Gendo isn't the type to just give things away and the strings attatched were literally apocalyptic. Guess it all depends on how ya' look at it. You Tube rendition of the first illustration here. 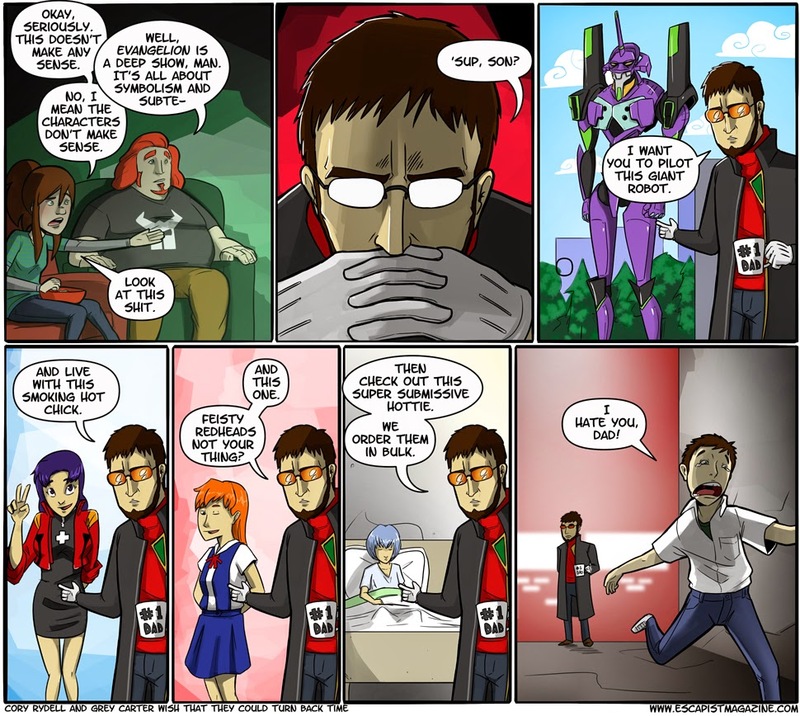 For more of the above kind of Evangelion humor 'n other kool stuff, go to the Escapist Magazine website here. Go to Jays' Tee Vee blog main page here. If there's a buncha' articles under this 'un, yer already there. So, I suddenly have a mighty need for Tang.